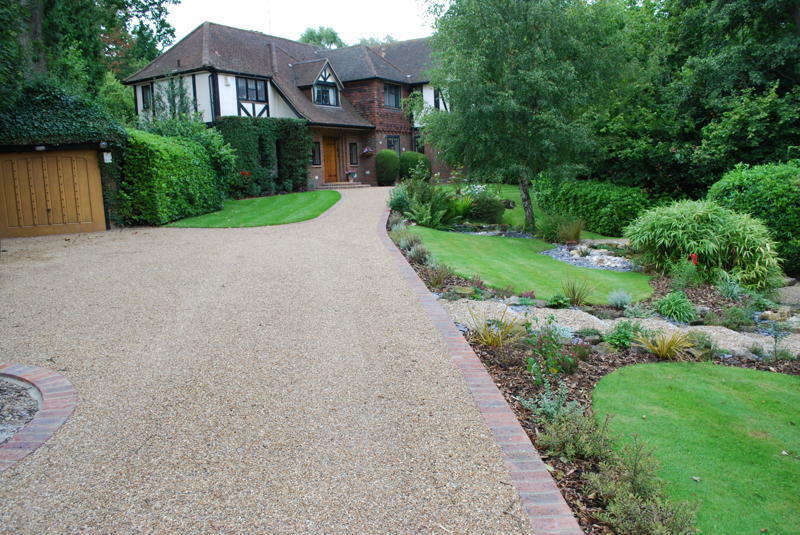 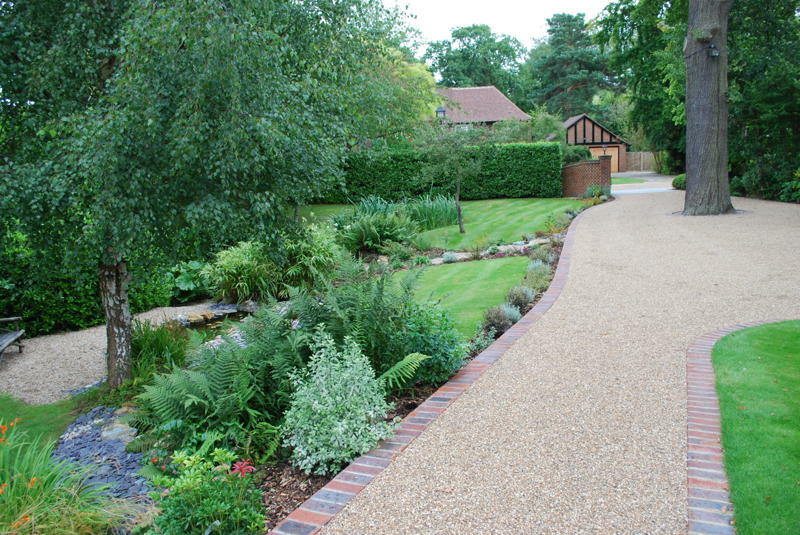 This large driveway was designed in a traditional style enabling it to blend well with its surroundings. 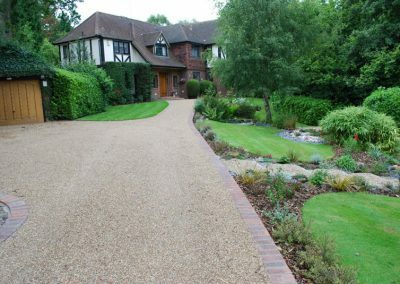 The main driveway was laid in tarmacadam with gravel compressed into the surface. 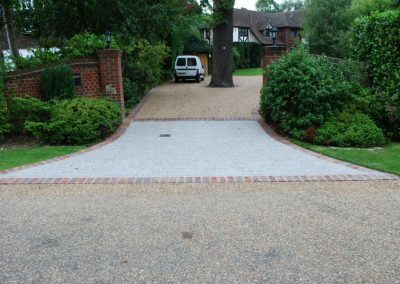 We edged the drive with stock bricks and constructed a Granite Sett apron from the road to the stock brick entrance walls/piers. 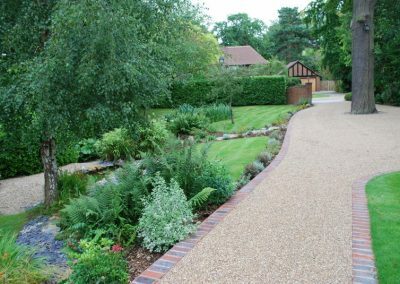 Rockery/gravel steps led down to a lower pond area within the front garden and plants were added to complement the scheme upon completion.